As a San Francisco event planner for the last 14 years, Inspire Productions has an eye on event planning in the Bay Area and beyond. Here are the 10 most important tips for you if you want to save money on your event. Plan out far ahead or last minute, if you can take the stress. If you plan out 6+ months ahead, you will be able to assure the venue and vendors that you want. However if you plan last minute, venues and vendors that are not already booked may give you good deals. On the other hand, if you are using an event company, you may be charged more, as it is a lot of extra work and stress for your event company. Catering quotes: If you are booking a caterer for your event and getting multiple quotes, make sure you look at the price at the bottom of the invoice! It should include catering, wait staff, kitchen staff, gratuity, and tax. If you only have a cost per person or a food total, plan on spending as much as twice the number shown when you are finished. Make sure all of your caterers are providing the same items and note whether they are cooking on-site or bringing in hot boxes. Some caterers may be more, but providing rentals for instance. Venue selection: Venue selection is critical for a dynamic event. If you would like to have your venue selection handled for you, go to our SITE SELECTION PAGE and let inspire find your venues and ask all the right questions. Do they allow adequate set up time? 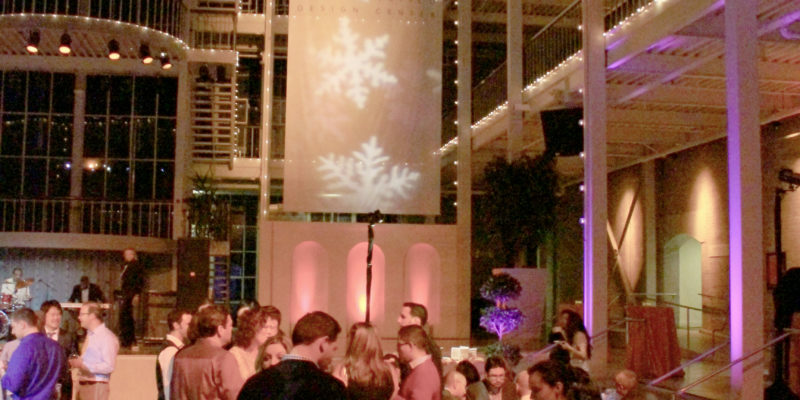 Most events will need 2 to 6 hours for set up, depending on what elements you have: lighting, stage, décor, etc. Can you drop the rentals off the day before, or at least earlier in the day? If not, the rental company will charge you a premium for any deliver that has less than a 3 hour window. Curfews? There is nothing worse than forgetting to ask the all important question: Are you in a residential district? If so, what is the latest that my reception can go until? Many venues in residential areas must finish their events by 9 or 10pm. This might be way too early for your crowd. Rentals: Does the venue provide chair and tables with the rental? If so, you will not only save money on those items, but can also save on delivery, as you would only need linens, which you could pick up yourself from the rental company, and drop off yourself. This will save over $150 in delivery fees to many locations. Hidden charges: Do they charge a day of event fee? A security fee? Require event insurance (and additional fee)? What are their expectations in terms of clean up? Some venues are fine with you leaving the venue without any large pieces of garbage. Others expect you to mop up and put away the chairs and tables (if provided). Rentals: As touched upon above, when ordering party rentals, try and allow a 3 hour window between 9am and 5pm Monday through Friday. If you can’t do this, then give them a 3hr window on the weekend. If this is not possible, you will paying a premium for after hours delivery with a short load in window. Other items that rental companies charge extra for are stairs, elevators, long load ins, and distance charges depending on where your venue is located. Inspire Productions handles all Bay Area rentals, and will design a rental program with their unique vendor relationships that will save you hundreds. A. Do NOT wait until a couple of days before your event to make final guest count changes. Most rental companies will not make any changes 48hrs before an event. Give yourself a week before the event to finalize the rsvps. B. Who is setting up the rentals and breaking them down? Did you consider this? The rental companies will not do this, unless they are paid additionally for it. If your group size is 120 people or less, it is usually cheaper, and always easier to have the event rental company set up the tables and chairs while your caterer will often set up the linens and fold the napkins, set the plates, etc. DJs/ Bands: Looking for a great Bay Area DJ? Need a Jazz or dance band? Let inspire bring the best in the Bay to you. If you do want to have a go at it on your own, make sure they have multiple references: I would check at least three. Make sure the load in time for bands is 1.5 hours before the event and for DJ’s, at least one hour. If you have a DJ coming, ask if they supply dance lights, and if so, how many, and are they on stands? They should be. You want the dance lighting on the dance floor, not on the ceiling. One of the most expensive parts of catering is the staffing! Try and design your events with only about 2 hours of food service for maximum savings. It may extend to three with appetizers. Speaking of which, We suggest offering some appetizers stationed, such as cold plates, and having other appetizers passed. This reduces the number of staff needed, allows people who are hungry to not be at the mercy of the staff passing the appetizers, and gives people who are engaged in conversation an opportunity to still nibble on the passed appetizers. Passed saves on the food, while stationed saves on the labor. Why not do the best of both worlds, having your less expensive items stationed and the others passed? Buffet or seated? I am a fan of the buffet. I will readily admit that the buffet has the distinct disadvantage of not being as elegant, and requiring more food per guest. However, the logistical nightmares and intensive staffing that it saves, makes it a great choice. A nice full service plated dinner requires one wait staff per every 10 people or so. If you have 150 people, you will need 15 staff. At $150 to $200 per staff, this adds up very quickly relative to the 3 to 5 staff needed at a buffet (one to two at the buffet and 2 to 3 to bus/ replenish). It also greatly reduces the back end kitchen staff. Have you ever attempted to plate 150 meals in a 10 minute duration? Don’t! The other major issue with plated dinners is the issue of ever changing minds. Many a time my clients have gotten RSVPs, made table tags, and assigned food preferences for each guest, only to find out that after countless hours of labor and coordination, many of their guests decided that they weren’t vegetarians after all, once they see their neighbor dig into a fillet of sea bass. This will lead to many of the guests that did order a particular dish, not getting it, as it is impossible for the caterer to buy two of everything for all guests. If you must have a plated meal, I strongly suggest doing one split meal. Offer plate with surf and turf or fish and chicken, and let your couples barter at the table if one wants fish only and the other prefers beef. Party Timing. Timing is everything as they say, and this is certainly true with events. Keep your event at four hours. Vendors may not tell you this, but this is the industry standard. Go under this magic number and it will cost you the same as if you kept your event at 4 hours. Go over it and you will be paying for overtime. From Venues, to DJs/bands to caterers, and more, you will find this the case. General Vendor Selection Tips: There is nothing more telling than the old event planners adage: you are only as good as your vendors. Follow these tips and you will reduce your chances of ending up with a lousy vendor, which will make a lousy Event. This is probably the single best reason to hire a tried and true professional planner: They will know who to bring, and more importantly, who NOT to bring to your event. C. As is true in most other aspects of life, in the event industry, you get what you pay for. This is a service industry, and you just can’t take shortcuts and get away with it. If you get a cheap caterer, DJ, or cake, that is exactly what it will appear like. Get 3 quotes if you are doing it yourself: don’t take the cheapest. Go for the middle or the highest. Hire Inspire Productions to handle your event and let a successful Bay Area Party planner handle all of the details while assuring you quality vendors and saving you money! Fill out our quick event quote form and let us provide you with a competitively priced, inspirational event!